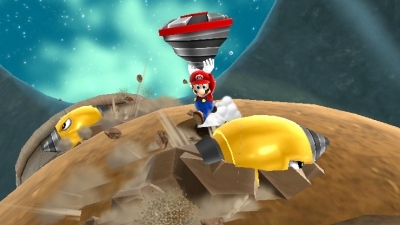 Super Mario Galaxy 2 Wii builds not only on Mario's years of platforming success but on the first games critical acclaim. 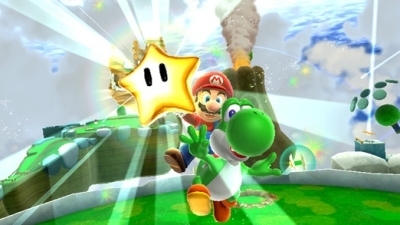 It adds Yoshi, Mario's rideable dinosaur friend, and offers more options for a second player who can now help bring items to the first player as well as stun enemies and collect Starbits. Platform games task you with getting from point A to point B. The world you journey through is usually based on different levels, and populated with enemies, switches and lifts to be negotiated. 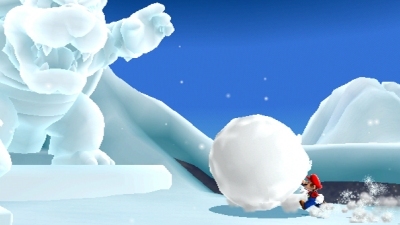 As you work through each level you pick up various collectibles that accrue score, special abilities and access to hidden areas..
Super Mario Galaxy 2 creates hundreds of ingenious platforming worlds. 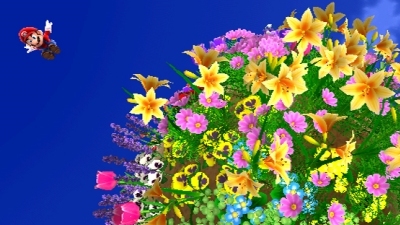 Each collection of environments combines three dimensional game play with real gravity physics to let the player explore and solve them at their own pace and in their own way. 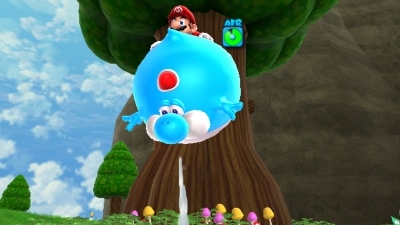 Other games have come close to Mario's platforming fun, but the sheer level of investment here is impossible to beat. Each new level offers fresh playful ideas that could almost be games in and of themselves. But as quickly as they have been conquered a new idea appears for the player to discover. This is easily on a par with the excellent first Super Mario Galaxy game. Players who haven't had the original may find that better value, and certainly no less of an exciting experience - even without Yoshi. But if you want the latest. 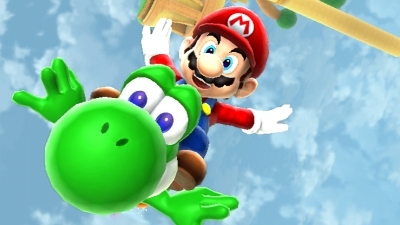 more streamlined game Super Mario Galaxy 2 is the game to get. 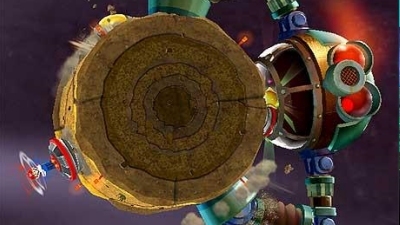 After Nintendo's first 3D platforming success with Mario 64, and their expansion on this with Mario Sunshine, it is only now in Mario Galaxy that we see them reaching their full potential. This is a real return to the values and deliver of the 90's hay day of the Super Mario Brothers and Super Mario World games. Before playing you will be expecting some fun ways to run, jump, collect and explore. What you can't second guess is just how ingeniously alive with ideas the game is. 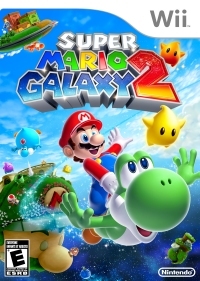 Much the same way that describing a Pixar movie makes it sound flat and lifeless, Super Mario Galaxy 2 has to be experienced first hand to properly appreciate the sheer glee on offer here. Playing alone or with my kids, I couldn't stop smiling and laughing at each new idea. 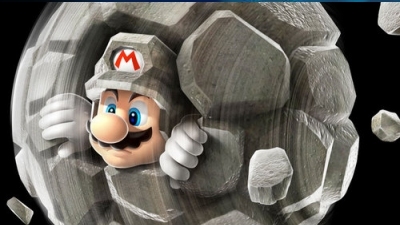 The Cloud suit alone had us in stitches as we watched Mario adorn a little cloud hat and jumpsuit then create floating platforms all around the level. The kids would shout with joy each time I put on a new outfit - Rock, Spring, Bee, Boo, Fire, Spin or Cloud suite. 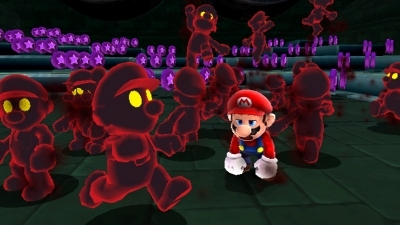 Super Mario Galaxy 2 is based around a hub world of levels that take no longer than ten minutes each. If you stop half way through one of these levels your progress is lost, so some players may want a chance to finish the current level before stopping for mealtimes. Novices (Toddlers and Juniors): Very young players can come along for the ride and use the second Wii-mote to shoot, stun and collect things. They can also play a part at suggesting how to get places and solve levels. 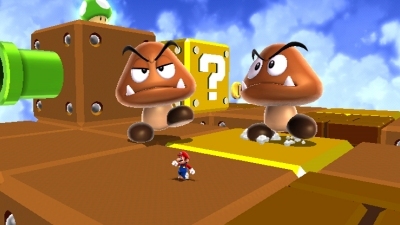 Young players who want a more hands on multi-player involvement should try New Super Mario Brothers on both DS and Wii. 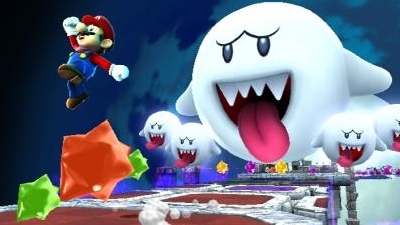 Intermediates (Parents and Seniors): More skilful players will appreciate Super Mario Galaxy's steady difficulty level. With the focus on ingenuity rather than super hard jumps or runs it is the thinking player that will make best progress. Experts (Students and Workers): Experts will revel in collecting every Gold and Green star, and find every Comet Coin. 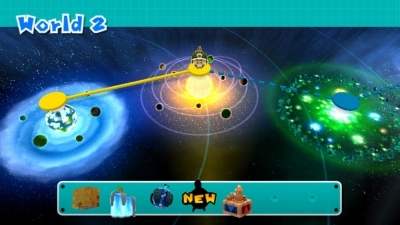 Super Mario Galaxy 2's simpler level interface and quick achievement list will enable them to track progress and have a better sense of progression.